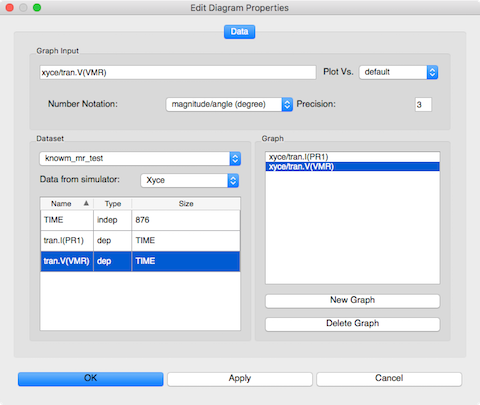 In a previous post titled Knowm Memristor Modeling and Simulation, I presented the implementation of a Verilog-A version of the Knowm MSS model within industry standard commercial EDA tools. Today I’ll be discussing the Knowm Open-Source EDA Stack that includes Knowm contributed extensions to popular open-source EDA tools to be used for the design, layout, and simulation of memristor devices and neuro-memristive circuits. This post will cover the installation and use of Schematic Capture and Circuit Simulation tools. 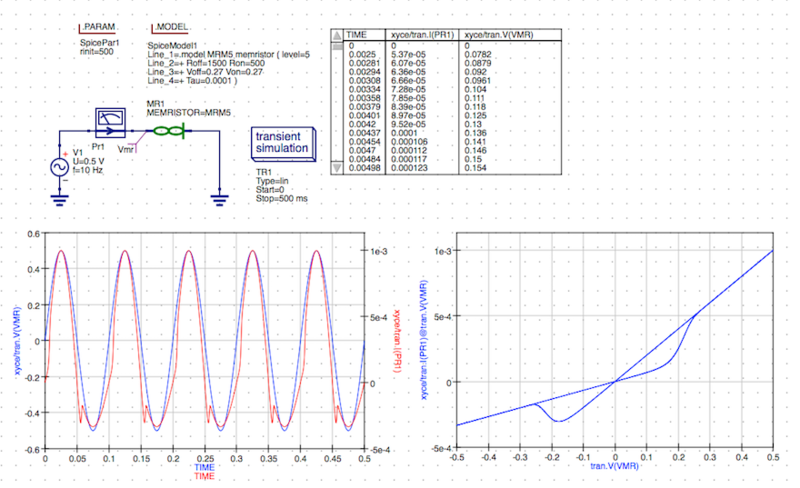 I will provide a brief tutorial of Qucs – Quite Universal Circuit Simulator which is an open-source circuit simulator being developed by The Qucs Development Team – a multi-disciplinary group of talented engineers, scientists and mathematicians. This software is available on Sourceforge or Github for download under the GNU General Public License (GPL) v2+. 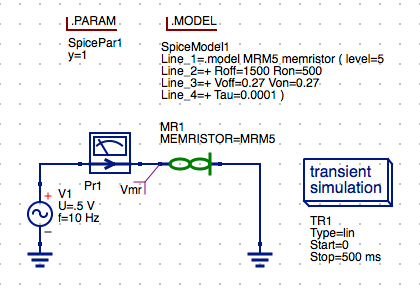 The Qucs Team has developed a specific branch of the open-source project Qucs-S Spice4qucs to support several popular SPICE compatible simulators. This branch is being used to develop Knowm’s extensions to allow using the Xyce Electronic Simulator developed by the Xyce Team at Sandia National Labs. 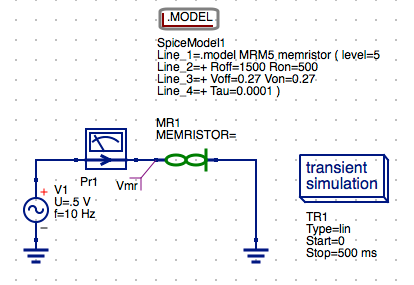 A new behavioral memristor model, the Knowm M-MSS ( Mean Metastable Switch Memristor Model ) was recently added to Xyce by Tim Molter and Alex Nugent. The Knowm M-MSS model is included in the Xyce OpenModels library and the model and Knowm’s release of Xyce-6.6 are both available under the GPL v3 open-source license. See the details of the implementation of the model in the recent post titled The Mean Metastable Switch Memristor Model in Xyce. 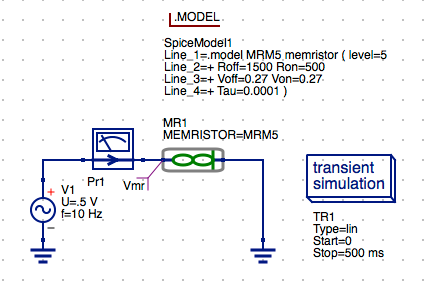 Selection of this model is included from the new Xyce Memristor Technology library within Qucs-S along with the Known proposed new memristor symbol in the Qucs-S non-linear component library. The current release candidate for the Knowm OSS EDA Stack is available for macOS Sierra 10.12 and Ubuntu 16.04 LTS (Xenial Xerus). This post covers installation on MacOS and Linux but usage only on the macOS platform. The installation process is different, but the use of the software is more or less the same. 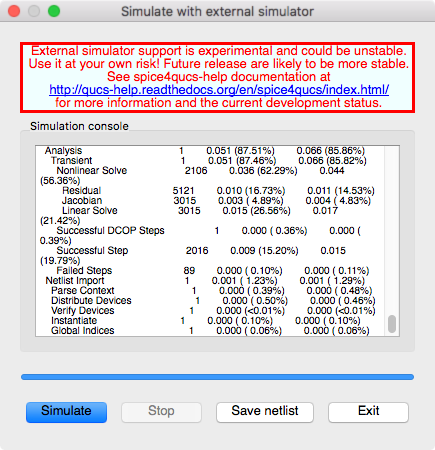 There is currently support for Xyce (Serial) simulations. The included versions of Qucs-S (0.0.19S) and Xyce 6.6 include libraries for amd64 (intel) 64-bit architectures. Support for other architectures and operating systems are under development and will be released when available. Double click on the bundle qucs_knowm_oss_eda-0.0.19s-rc1.dmg to mount the bundle. 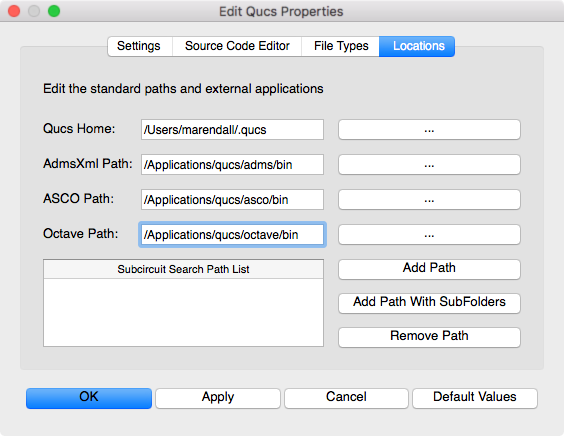 Copy or drag-n-drop the qucs folder to /Applications folder. Open the qucs folder that you just copied and open the ./bin folder. Drag the Qucs.app to the Launcher Bar. Right click on the Qucs-S bundle and select Eject Qucs-S from the context menu. Double click on the bundle xyce_knowm_oss_eda-6.6-rc1.dmg to mount the bundle. 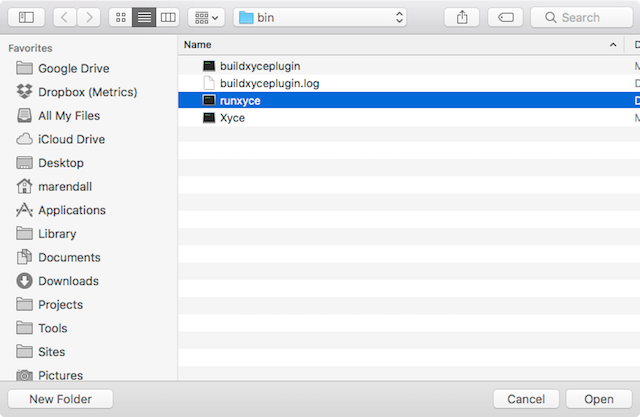 Copy or drag-n-drop the xyce folder to /Applications folder. Right click on the Xyce-6.6 bundle and select Eject Xyce-6.6 from the context menu. NOTE: The release candidate Debian packages are currently being installed in the /usr/local under their own package directories to allow for side-by-side comparison of release candidates. The final release versions will be provided under a package manager and will use standard directories in /usr. Download the package qucs-knowm-oss-eda-0.0.19s-rc1.deb to the $HOME/Downloads directory. 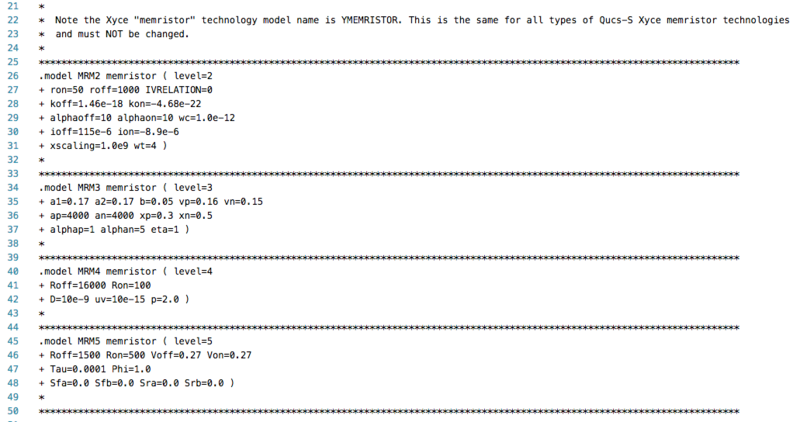 Test the install by typing qucs --version. Execution should return Qucs 0.0.19 (7526999). Download the package xyce-knowm-oss-eda-6.6-rc1.deb to the $HOME/Downloads directory. Test the install by typing runxyce -v.
NOTE: the first time Qucs is started is will inform you that no default simulator has been selected. 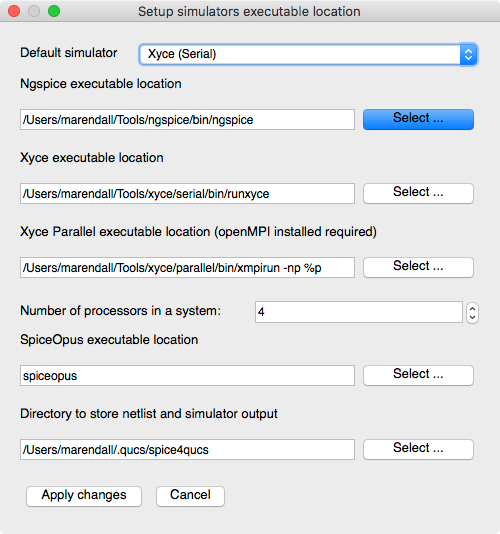 Click Ok and then select Xyce (Serial) as the default. 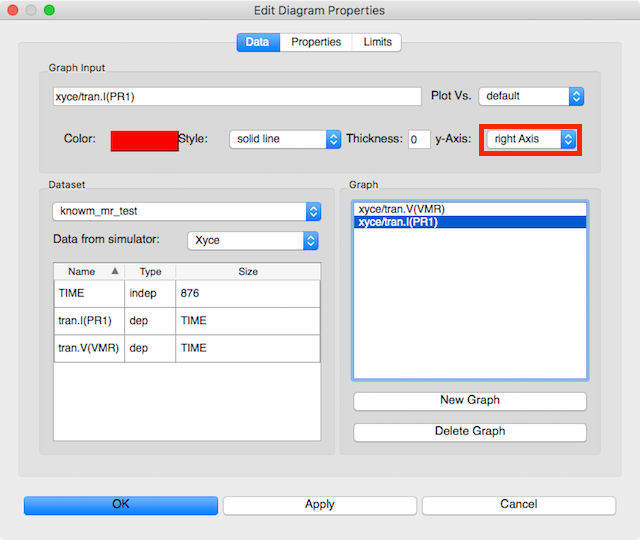 Click the Select button to the right of the Xyce executable location edit field. The Qucs Settings file qucs.conf is stored in your $HOME directory in the .config directory. If you experience any issues with persistence of your settings in this section you can manually edit this file with a compatible editor. Select File -> Application Settings... from the menu. NOTE: The Qucs Home will a folder named .qucs in your home directory. This is where all projects will be stored for your installation. Each project will be stored in a separate sub-directory with the _prj suffix appended to the name you specify. Other directories such as the spice4qucs directory will also be created which will store the data and netlist information for your Xyce simulations. Verify AdmsXml Path: is to /Applications/qucs/adms/bin. If not, set it. 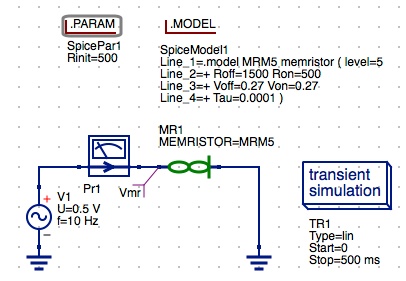 ASCO project aims to bring circuit optimization capabilities to existing SPICE simulators using a high-performance parallel differential evolution (DE) optimization algorithm. 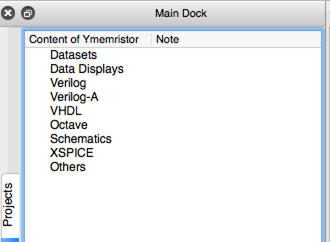 Currently out-of-the-box support for Eldo (TM), HSPICE (R), LTspice (TM), Spectre (R), Qucs and Ngspice exist. Verify ASCO Path: to /Applications/qucs/asco/bin. If not, set it. 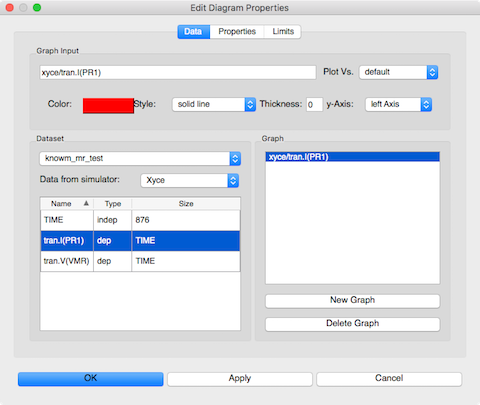 Powerful mathematics-oriented syntax with built-in plotting and visualization tools. The Octave syntax is largely compatible with Matlab. The Octave interpreter can be run in GUI mode, as a console, or invoked as part of a shell script. 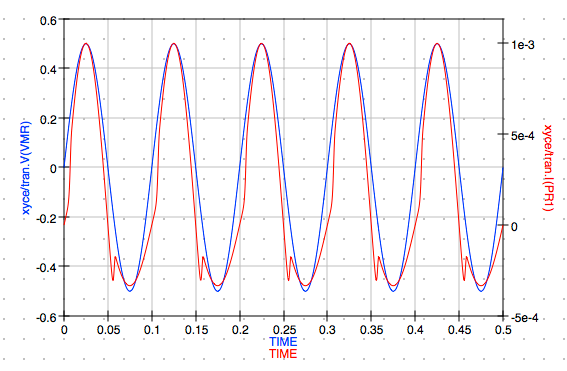 It is accessed in Qucs by selecting View->Octave Window. Set Octave Path: to /Applications/qucs/octave/bin. If not, set it. Click New to create a new project. 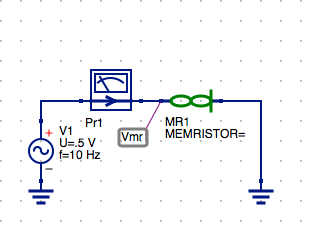 Enter Ymemristor for the project name. 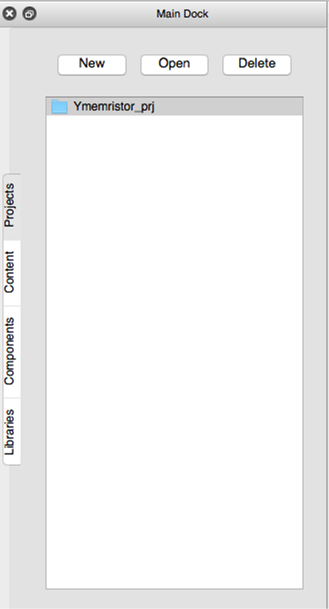 Click the Create button to create the project. 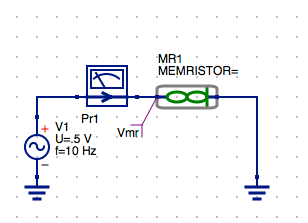 NOTE: The project Ymemristor_prj is displayed in the Project tab. Open the sources from the drop-down list. 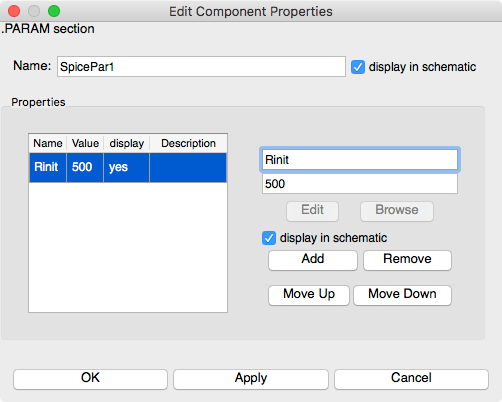 Open the non-linear components from the drop-down list. Open the probes from the drop-down list. 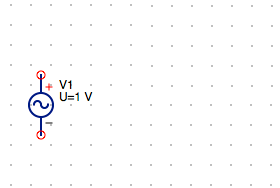 Select the Gnd symbol on the toolbar then left click on the schematic to place the symbol. 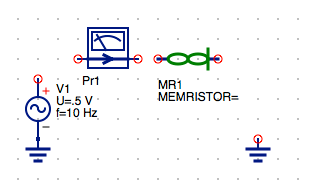 Select the free Gnd node and then left click the negative node of the memristor symbol. 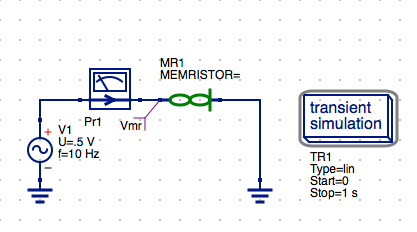 Select the out node of the Current Probe and and drag to the positive node of the MR Memristor. 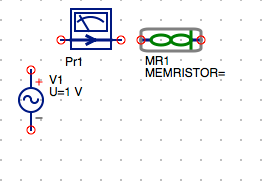 Right click on the MR Memristor symbol and select the Move Component Text from the context menu. 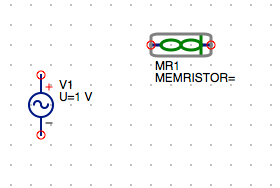 Left click on the MR1 MEMERISTOR label and drag it to a position below the memristor symbol. 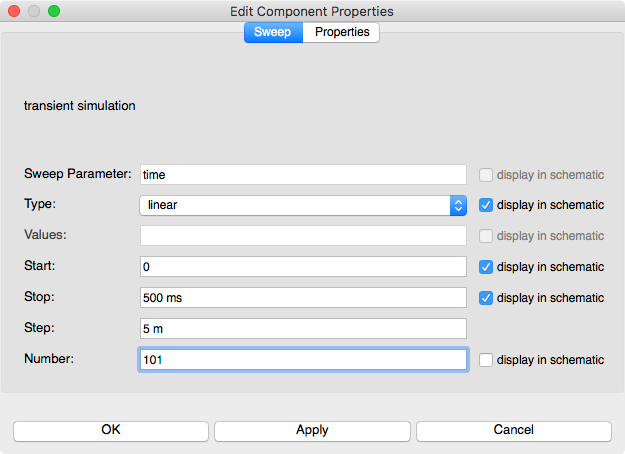 Open the simulations from the drop-down list. Enter 500 ms in the stop param field. MR Memristor model in Xyce. 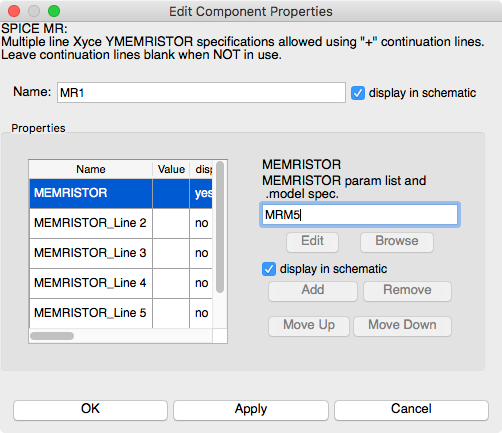 NOTE: Each of these correspond to the model parameter sets above can be selected by choosing from the available models in the Xyce Memristor Technology Library. 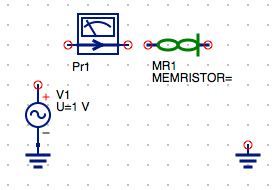 The selection .Model and assignment to the MR1 Memristor component in the schematic determines the the model being simulated. 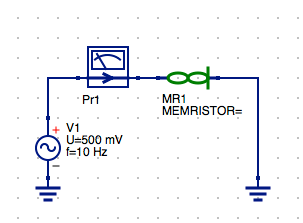 Notice: there are 4 different levels for the Memristor Model in Xyce. 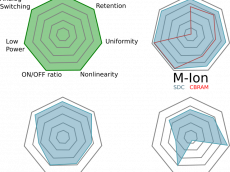 Each of these correspond to the model parameter sets above. Enter MRM5 in the param list and model spec field. Open the SPICE specific sections from the drop-down list. Enter Rinit in the param field. 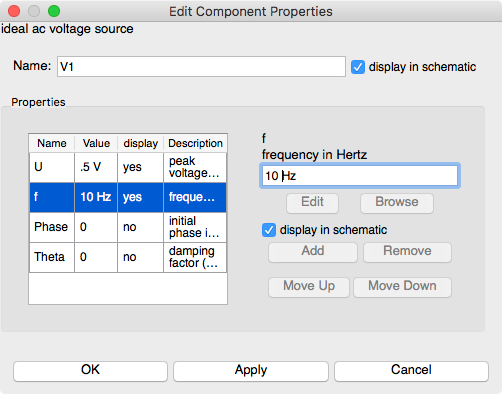 Enter 500 in the value field to set Rinit=500 ohms. complete. 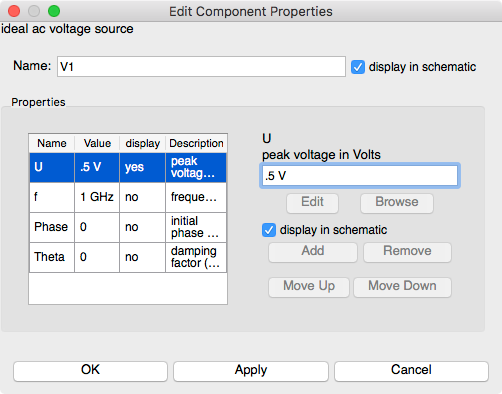 You can change this behavior by changing the settings for the schematic diagram. 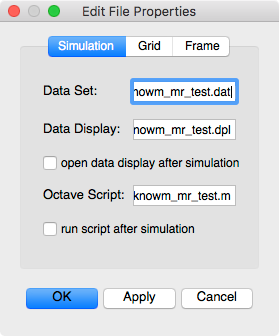 Enter the filename knowm_mr_test for the schematic diagram. Open System Preferences and select Keyboard. Then check thebox F1, F2,etc as standard function keys. 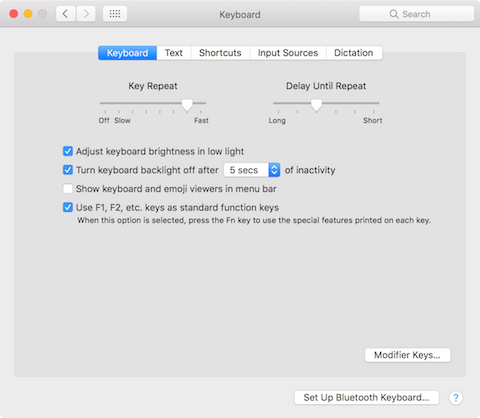 NOTE: You can change the keyboard mapping for other the keys in macOS by selecting the Shortcuts tab then define the new key mappings in the Keyboard group. Press F2 or select Simulate from the Simulation menu or the Run button on the toolbar. 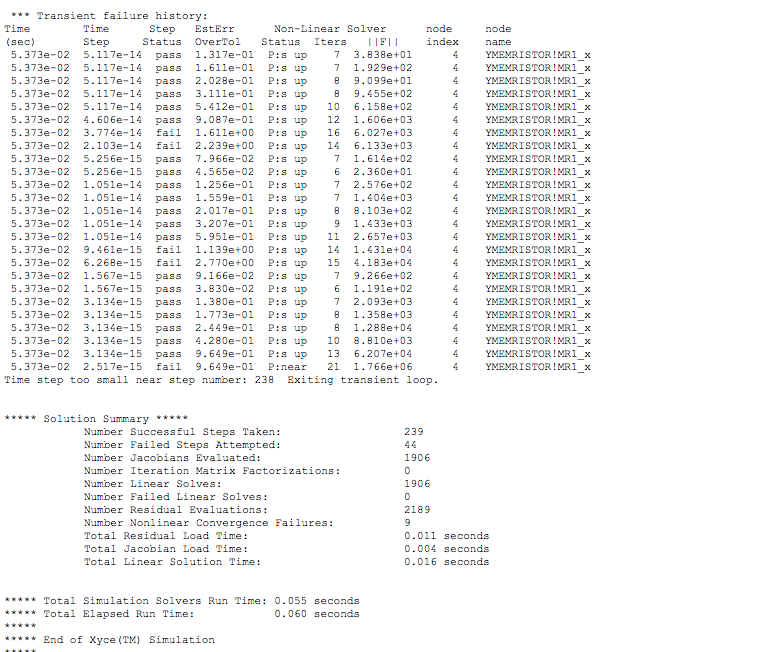 The raw data file knowm_mr_test_tran.txt produced by the transient simulation will be automatically created in the $HOME/.qucs/qus4spice/ directory. Open the diagrams from the drop-down list. 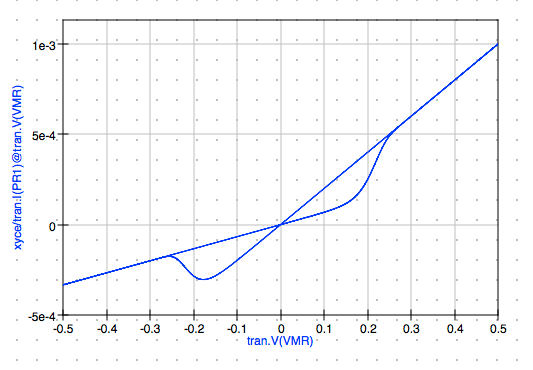 Select tran.V(VMR) row to add it to the graph. 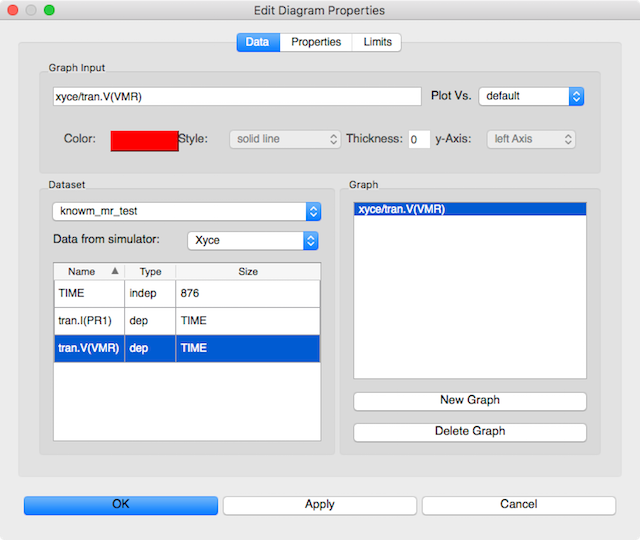 Select right axis in the y-Axis: drop-down list. Select tran.V(VMR) in the Plot Vs. drop-down list. That completes this basic tutorial.